A design classic that’s still catching the eye over 80 years on – the Bolich ceiling light. This is the original Bolich ceiling light, first introduced in the Germany in the 1920s and still oozing that modernist cool. 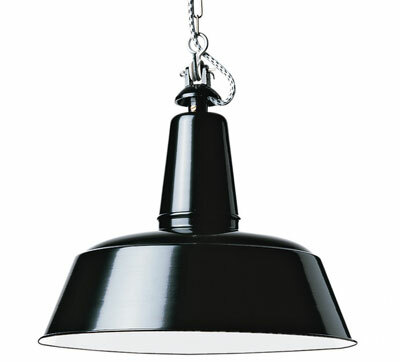 The reflector is made of black powder-coated sheet steel, attached to the ceiling by the cast-iron mushroom-shaped hanger and nickel-plated chain. If you don’t like black, there’s also a white, with both selling for the same price – £112.